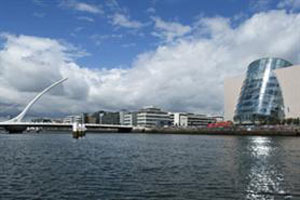 Veterinary Ireland and the British Small Animal Veterinary Association are to co-host an event next year at the Convention Centre Dublin. The FECAVA EuroCongress is expected to attract 1,500 participants from Europe and North America, with a programme of lectures and practical sessions aimed veterinary surgeons and nurses working in small animal practice. "Veterinary Ireland looks forward to cooperating with our counterparts in Northern Ireland and the UK to host this important congress, and to provide such a great educational opportunity for our local vets and other European colleagues", said Finbarr Murphy, chief executive of Veterinary Ireland.